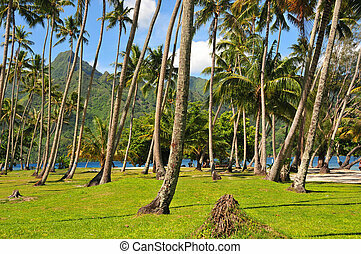 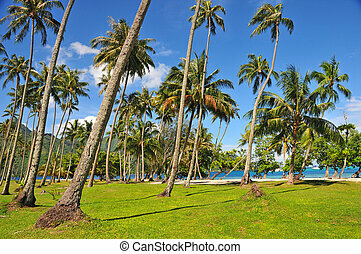 Palm trees on tropical island. 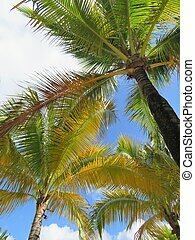 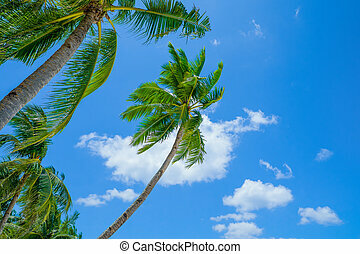 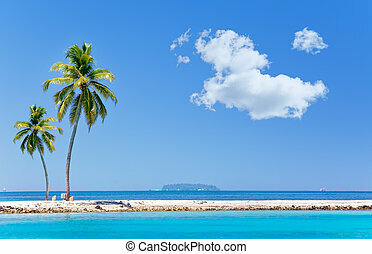 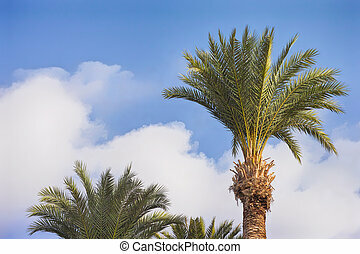 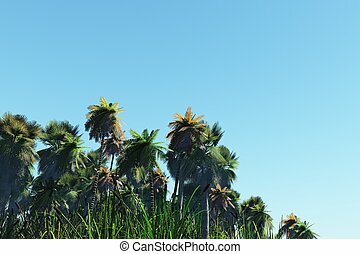 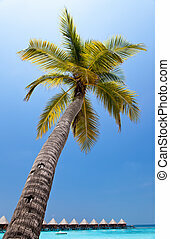 Palm trees on a tropical island against blue sky. 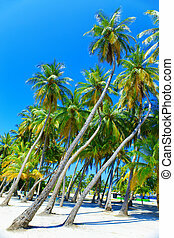 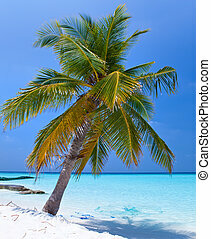 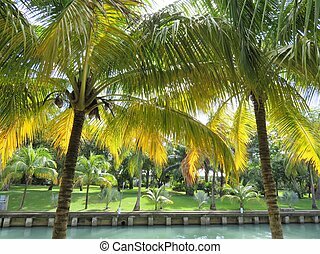 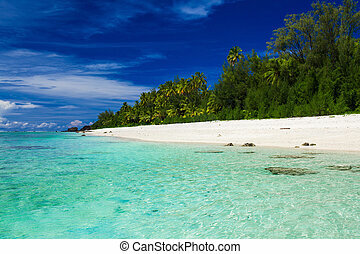 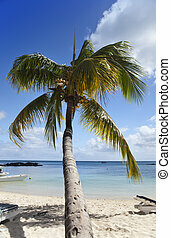 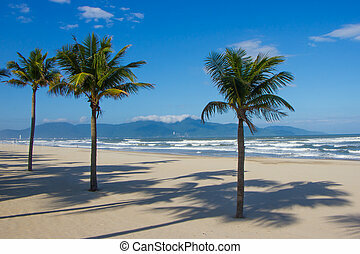 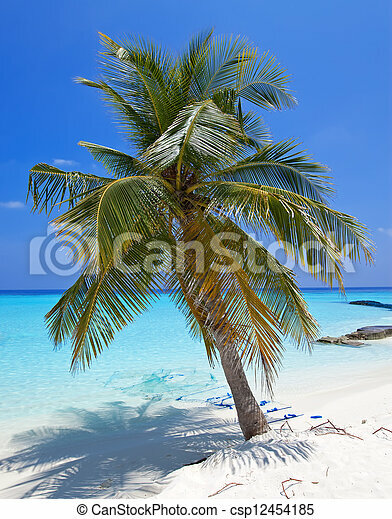 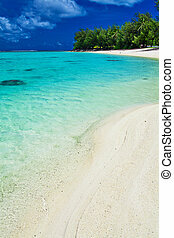 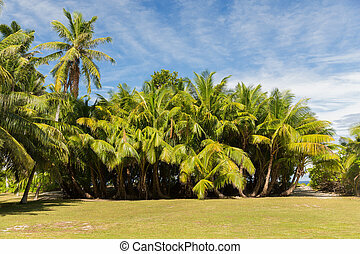 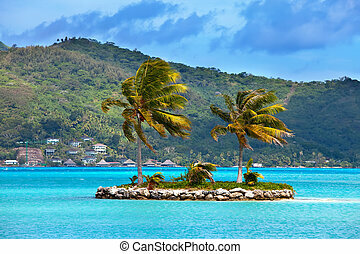 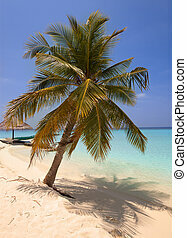 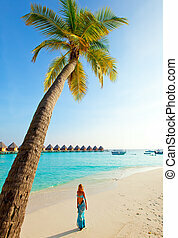 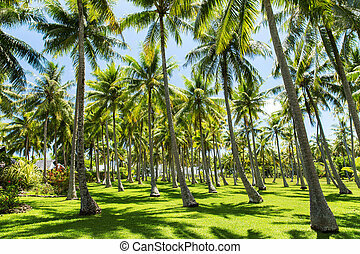 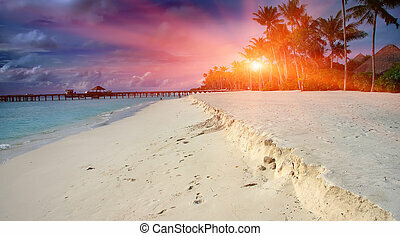 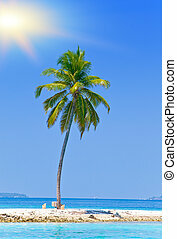 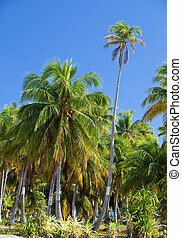 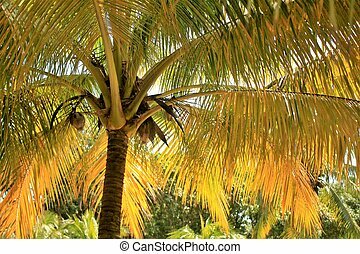 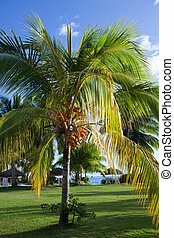 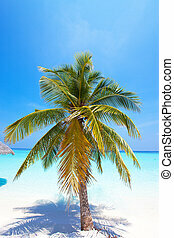 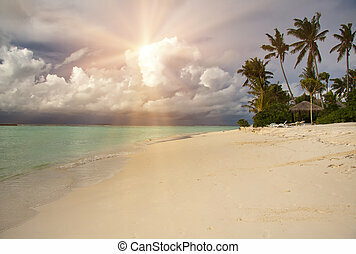 Palm trees on tropical island at ocean. 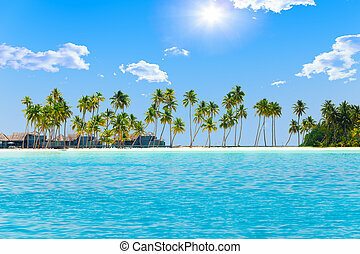 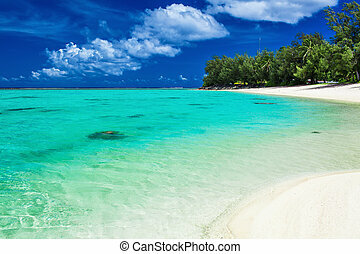 Maldives.